Welcome to the Habitat for Humanity of Martin County website! 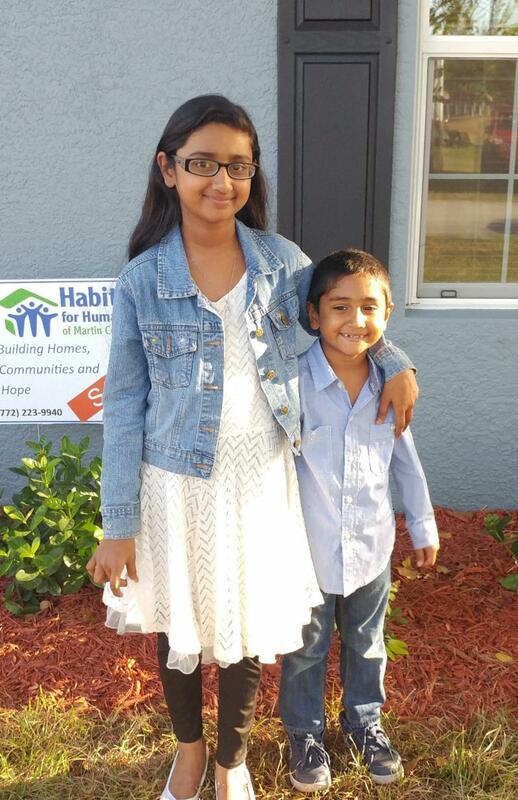 Since its inception in 1986, Habitat for Humanity of Martin County has dedicated 136 homes in Hobe Sound, Indiantown, Jensen Beach, Port Salerno and Stuart, Fla.
Habitat for Humanity houses are simple, decent and affordable to low-income families who qualify for a zero interest loan that they must pay back. Whenever possible, we build sustainable, energy-efficient and healthy housing. The philosophy is to provide entry level, affordable housing at a fair price and good value. This achievement is possible thanks to the hard work and dedication of the Habitat staff and volunteers, the sweat-equity of the home owners, and an outpouring of support from donors and community partners. Home Dedication How Habitat for Humanity of Martin County Offers A Hand Up Not A Hand Out who does it take? 30 Years of Building on Faith! Monday through Saturday, 10:00 a.m. to 6 p.m.